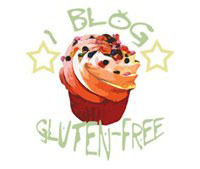 ← Happy Celiac Awareness Month!! Once upon a time, there was a girl who shopped at Costco. She found these wonderful Everything crackers and fell in love. Next time she went back, she bought 3 bags! Her little brother and her mother, who aren’t gluten-free, also fell in love with these crackers. She gave each of them a bag, intending to pick up some more the next time she went to Costco. Alas! They no longer carried the everything cracker, but after a month or so, she found the same brand of cracker in the Sea Salt version. Everyone loves them so much that to this day, she buys 3 bags every single time she goes to Costco. These Crispy Sea Salt Baked Crackers from Milton’s are amazing, people. The Costco bags are 1.25 pounds and Braden and I alone can polish one off in a day. I totally have to pace myself. In fact, I had grabbed a rather large handful so I could sit here and describe them to you and I had them polished off before my browser and my site were fully loaded. The crackers are thin with air bubbles. They really are crispy and crunchy, none of that strange “rice cracker crunch,” either. Sometimes, when I get a bag that got cooked a little longer than normal (it’s happened maybe once or twice out of probably 15 bags), the taste reminds me more of a saltine (at least, what I remember those tasting like from over 11 years ago). Often the sea salt is the predominant flavor, but it gives way to a very faint hint of sweetness in an enjoyable flavor from a small mix of grains. The kids and I love to eat these with some gouda cheese and grapes. Yeah, we do. Or ham and cheese, but mostly just by themselves and in larger-than-appropriate quantities. The multi-grain flavor is completely new to me. I’d never seen it in stores before. I can’t pin down the flavor. For some reason, it reminds me of peanut butter, though it has no peanuts (and it doesn’t actually taste like peanut butter…). How weird am I? I definitely like them, though. Oooh, the cheddar ones don’t have powdered cheese on them! The cheese is baked in the cracker. The cheddar flavor is not intense, but the saltier chips do seem to carry a heavier cheese flavor. Oh my gosh, I’ve fallen in love. They need to sell these at Costco (or maybe not, since I’ve been trying very unsuccessfully to lose this baby weight). Uh oh, Corice came to check out what I’m doing. I wasn’t hiding, I swear. She really likes these, too, and is off to try the multi-grain. I have to make sure I save some of these cheddar ones for Braden. He’s been eyeing these since they arrived. The everything crackers are like an everything bagel: seeds, onion, garlic… Maybe don’t eat them on a first date, but you can enjoy them any other time. I almost forgot the giveaway! How silly of me! Milton’s would love for you to try these, too, so they are offering a prize pack with one bag of each of the 4 flavors to one lucky Delightfully Gluten Free reader! Comment on this blog post to enter the giveaway, and let us know your favorite thing about crackers. For me, they are a feel-good food (I took a bag of the sea salt crackers with me to the doctor yesterday, knowing that I had to take a new medicine). This giveaway will end at 9pm central on Saturday, June 13th. P.S. – If you let your children make their own lunches, you may want to check that they don’t fill a quart-sized ziploc of these crackers for one day. Been there, done that. 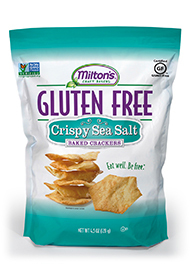 25 Responses to Milton’s Gluten-Free Crackers and Giveaway!! My favorite thing about crackers is that they are a satisfying, crunchy snack. My favorite thing about crackers are that they are so versatile. I could dip them in hummus or guacamole or have them with apricot preserve and ricotta cheese for a yummy dessert……soooooo good!!! Sounds like I’ve gotta get some! Going to Sam’s next week. Thanks for the info. You can put anything on a cracker! 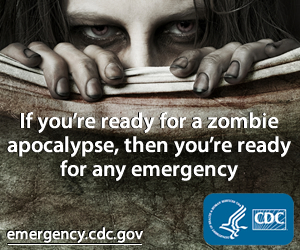 Or just eat them like crazy right out of the bag. Best snack to take anywhere. And Miltons are soooo good! Crackers are a nice appetizer to pair with pepperoni and cheese, yum! Love them with cheese, salami and dip! Crush em up for oven fried chicken or in meatloaf. And of course all by themselves! These are Yummy!!! Just wished they sold them in more stores! Oh no! Did you write a note for the suggestion box? They always tell me to do that if a product I like is gone. I could be the “girl” in this story! Bought a huge bag of Sea Salt flavor at Costco when a gluten free friend was coming to visit…crackers were so delicious that I’ve continued to purchase multiple bags whenever they are available at Costco. Only wish Costco would more reliably carry this great item. My favorite thing about crackers is that they are great to snack on and satisfy my kids while traveling. I absolutely love this!!! I received a free sample and couldn’t be happier with a gluten free product! Love the everything crackers. I can really taste the goodness and I love sesame. These are so delicious. The texture is fantastic compared to other GF crackers! After recently being told that I am allergic to both wheat and gluten, I started a journey on a new meal plan. Not that I loved breads all that much; but when you know you can’t have something your mind goes into craving mode. Anyway, my downfall has always been cracker, pretzels, and pasta. Going without crackers that have actual flavor and crunch has been frustrating. Milton’s crispy sea salt crackers are amazing! The flavor profile and the crunch hit the mark for my cravings and I dare anyone to say that it doesn’t do the trick for their cravings as well. I just had the Everything Crackers from Costco. These are so addicting. I just had some with Salmon mixed with Mayo, peperoncini, onion~Heaven! Only thing, I am not suppose to have Sesame & Yeast, which are both in the crackers 🙁 I haven’t had the other crackers, maybe Milton’s can make them without yeast? THESE WERE SO GOOD…..I WILL JUST HAVE TO UPSET MY AUTO-IMMUNE SYSTEM. Seriously…they are like a drug I have to have them LOL. I would love to try the other ones. I found a bag of everything crackers in a small market in Westport, WA. They are by far the BEST crackers I have every eaten! ! My husband and I polished off the bag within minutes, yummmm! I am searching for a market nearby so I can stock up. Most gluten free crackers are either too crumbly or tasteless, these are perfect! !! Me and most of my children have Celiac disease. Once in awhile you crave to have that feeling of normalcy and of being able to taste real food without the worry of getting sick. Milton’s crackers are this feel-good, tasty and savory snack. Whether I am eating them plain, with a dip or cheese. I love it! I love crackers as a quick snack or as part of my lunch.